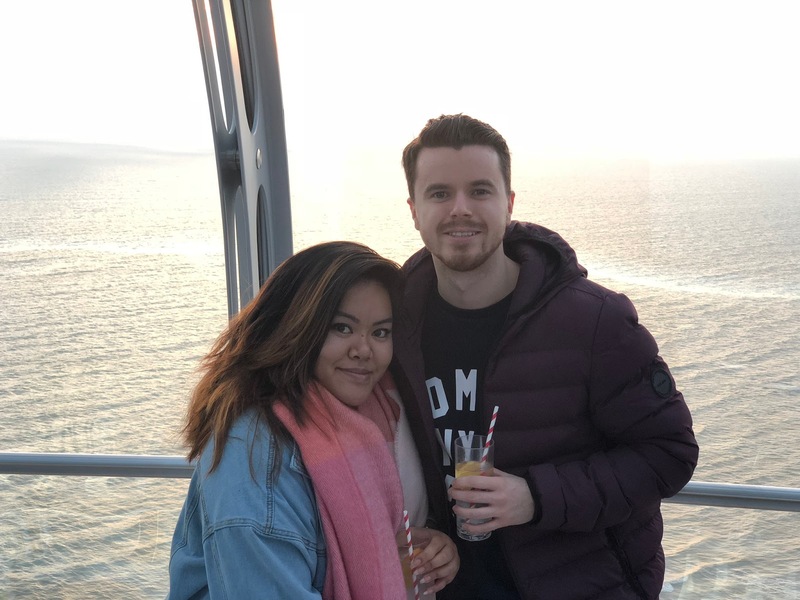 We always end up finding ourselves back in Brighton – other than London, Sheffield and Chester it must be the place we’ve visited most together. It’s got something that we can’t quite put our finger on but despite that, there are still things we haven’t done and seen there. The British Airways i360 is, or was one of them. On a glorious late Sunday afternoon we jumped at the opportunity to work with BA and take to the skies above this wonderful city. 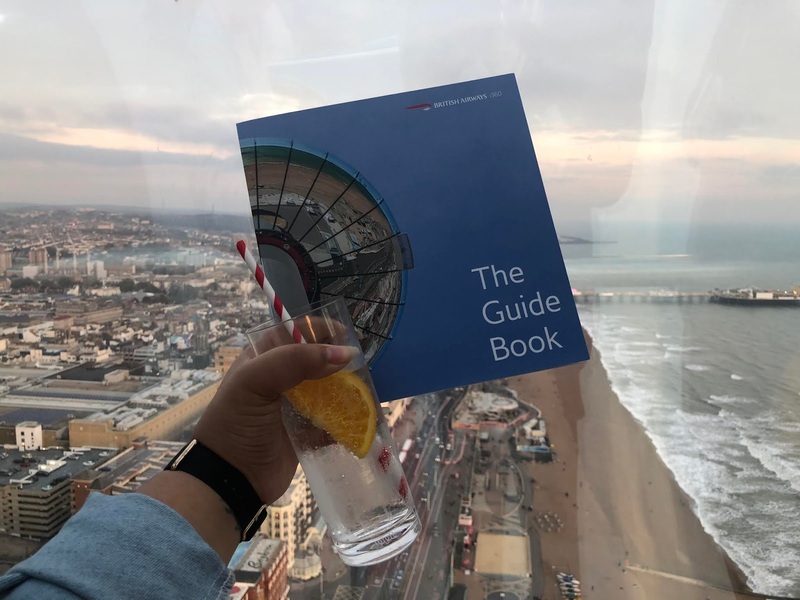 Gliding 450ft into the air from the landmark’s futuristic glass viewing pod, we enjoyed a local G&T, stunning murmurations and the magnificent 360 views. 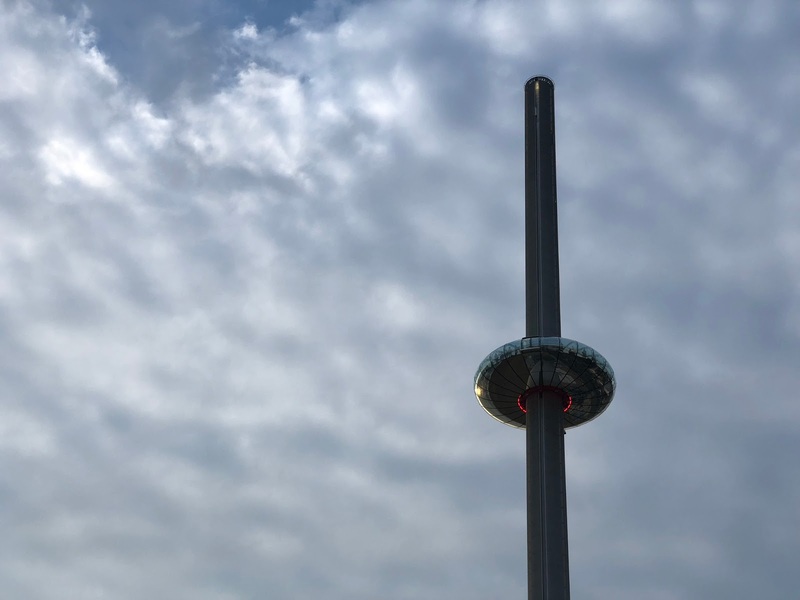 The i360 was designed by Mark Barfield Architects, those responsible for the London Eye except this pod is over 10 times the size of those at London’s equivalent. It’s bringing people like us from the capital even further down south and contributing to the regeneration of this iconic seafront. On that note, of course we had amazing views of the famous Brighton Pier, but also all the way through the South Downs national park and we hear on a brighter day, the Isle of Wight. You really do get the best of all worlds – city, countryside and sea. It’s the perfect location. 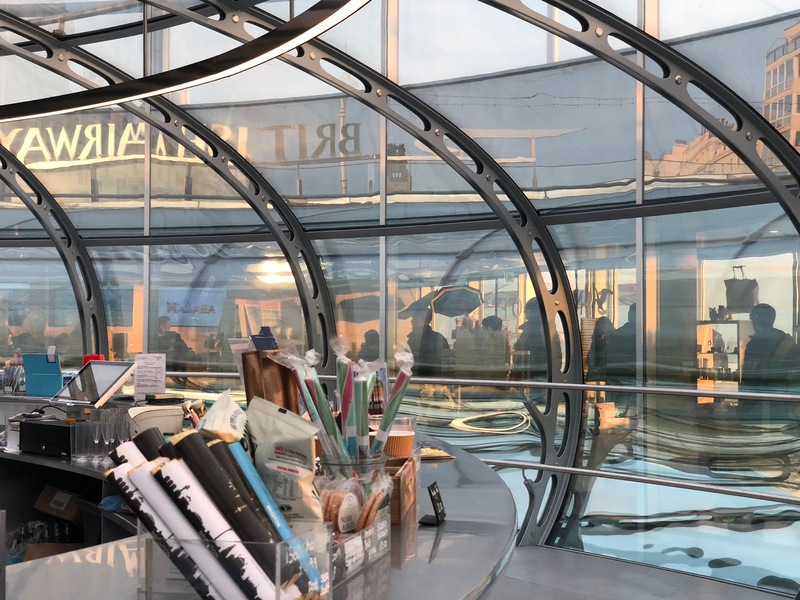 The experience doesn’t stop at the pod however – downstairs there is such a nice store selling quality Brighton themed gifts and memorabilia, beach facing restaurant and the opportunity to buy green screen photo books. 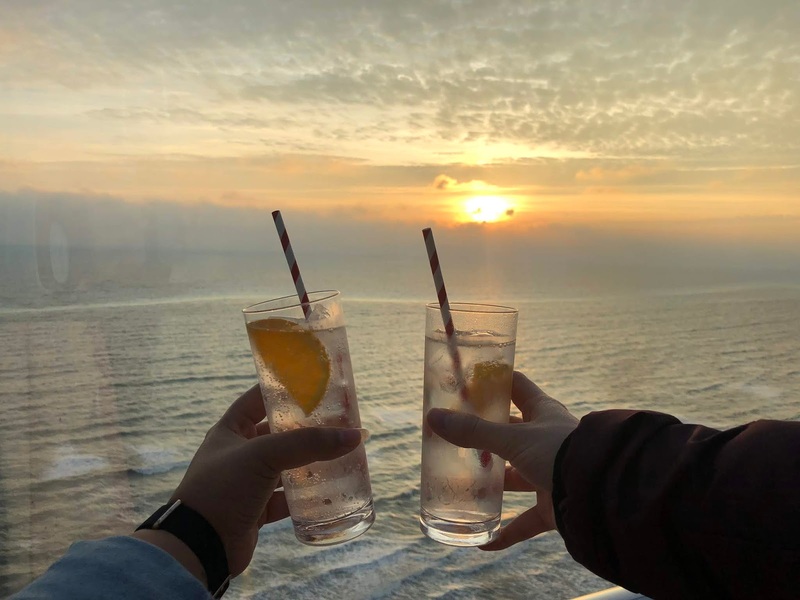 We hoped that through booking at 4pm we would catch the sunset whilst at the summit – we can confirm that there is no better time to experience Brighton. We ended the day with a stroll around the charming Lanes shopping area, a good old Sunday roast with university friends and some BeFries for the road! 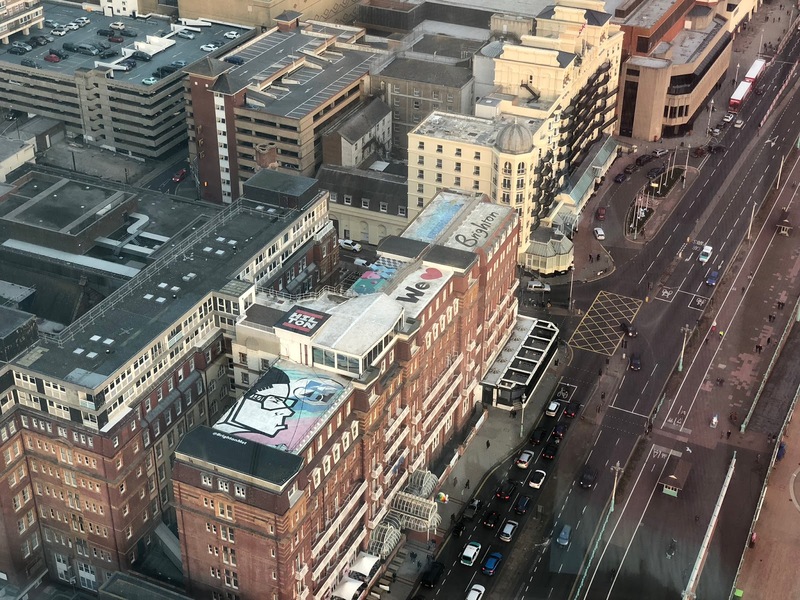 As this rooftop mural says, We Love Brighton! P.S next time we’ll be encountering British Airways is aboard a Miami bound flight in January – sunshine state content to come soon! 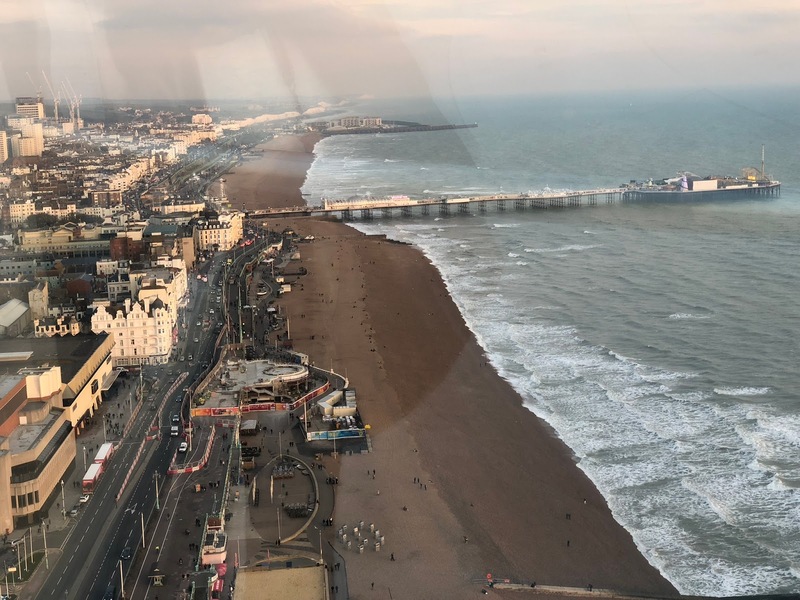 Disclaimer: we were given complimentary tickets to the British Airways i360 in exchange for a mention in this blog post and coverage on social media. However as always, all pictures and views are our own. Thank you lovely! Will have to have a catch up on your soon too! I have never been to Brighton but I have heard so much about the city!. What a fantastic view you have from up there! We really like Brighton, we would recommend to visit! Such a great view wasn’t it!? OMG you need to go!! 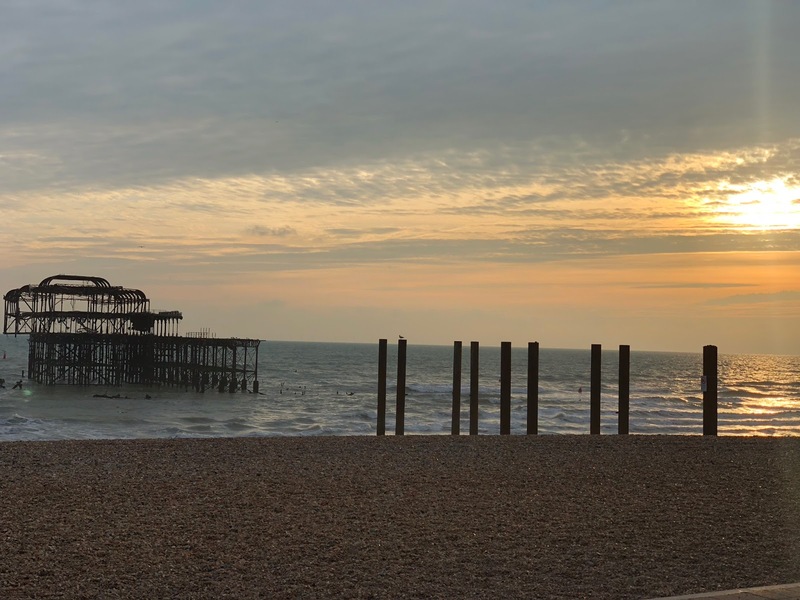 Brighton is such a cute place to visit – defo worth it! The sunset was the best part to be honest but a great experience over all! Do let us know if you go, we have many places we could recommend! You should definitely go on the sunset flight! Such beauty! Brilliant post and I love the photos. It sounds like a great opportunity to see some fantastic views. I've been dying to go to Brighton for ages. I'm planning to go to the UK in 2019 so I'll be sure putting Brighton on my list of places to go! The views were so worth the trip! Do let us know when you do visit!